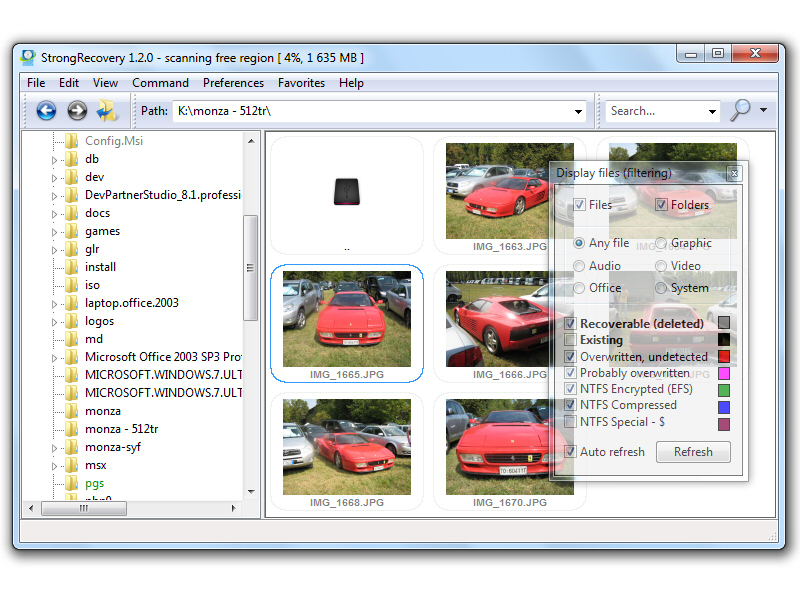 Deleted photo, file or data recovery software. Recover deleted data from memory card, pendrive or hard disk drive. StrongRecovery supports FAT12, FAT16, FAT32 and NTFS file system. StrongRecovery supports recovery of NTFS Encrypted Files (EFS) and NTFS compressed files. Is also possible to search data of deleted files. If you need quick and effective data recovery from pendrive, memory card or hard disk drive, StrongRecovery is the best choice! * StrongRecovery supported formats in RAW recovery engine: BMP, JPG, JP2, GIF, PNG, TGA, PCX, TIF, TXT, MP3, WAV, AVI, DAT, SWF, PDF, DOC, PPT, XLS, DOCX, PPTX, XLSX, ZIP, RAR, EXE, DLL, ICL, PSD. Qweas is providing links to StrongRecovery 2.6 as a courtesy, and makes no representations regarding StrongRecovery or any other applications or any information related thereto. Any questions, complaints or claims regarding this application StrongRecovery 2.6 must be directed to the appropriate software vendor. You may click the publisher link of StrongRecovery on the top of this page to get more details about the vendor.